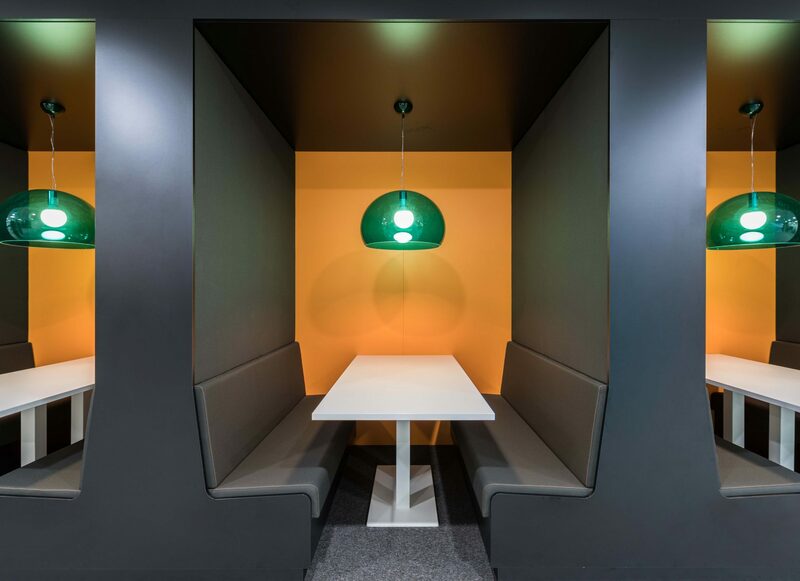 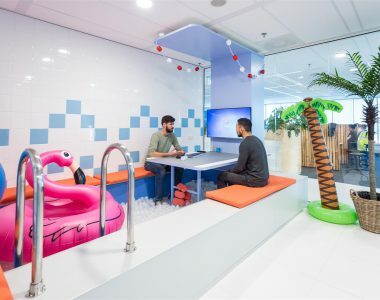 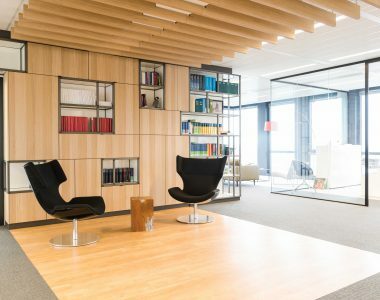 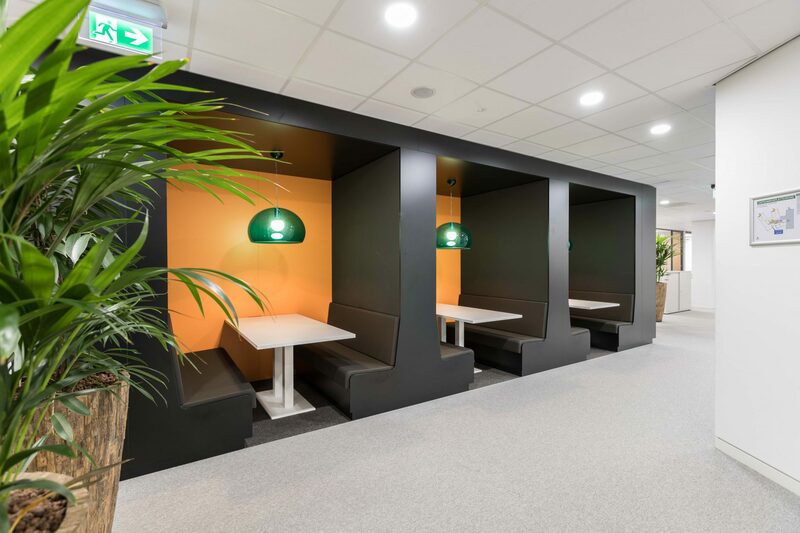 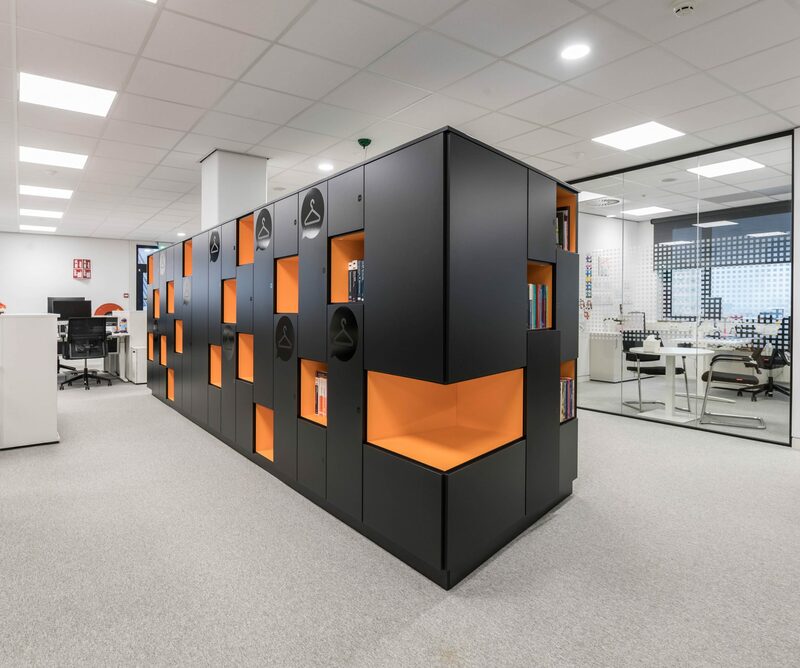 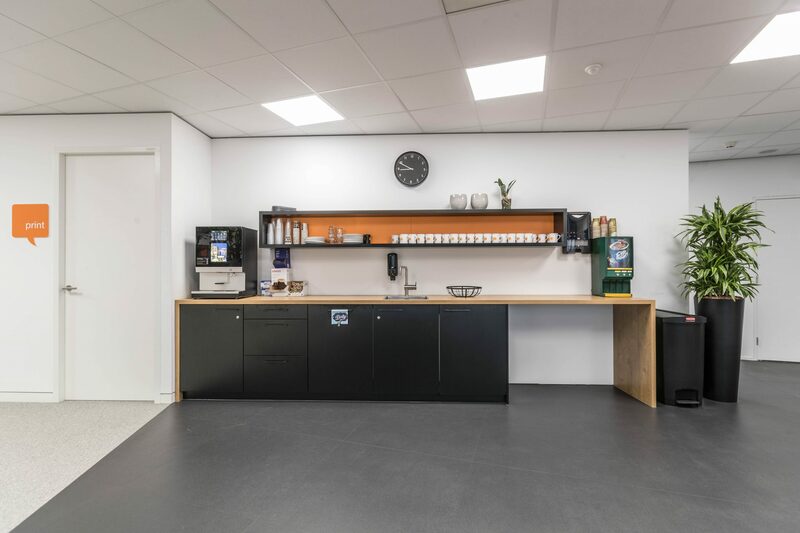 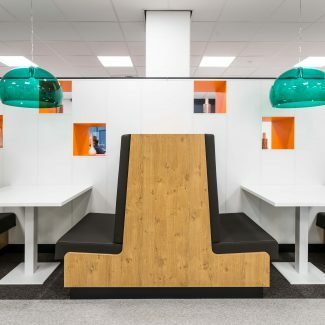 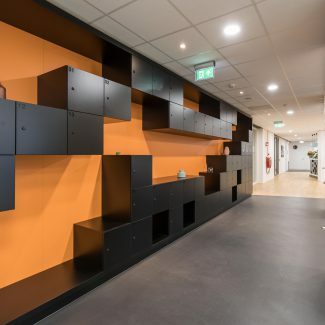 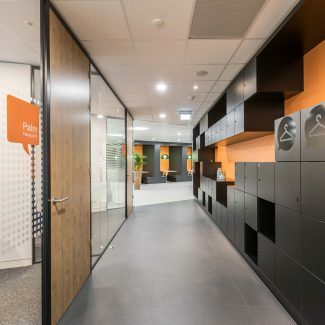 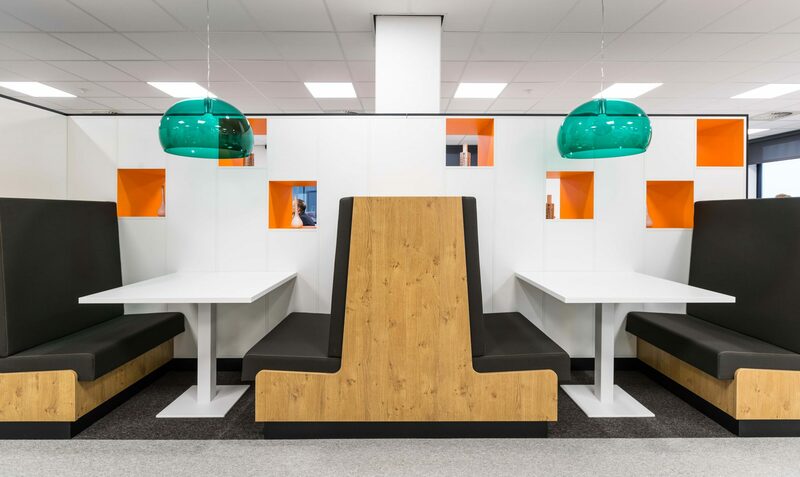 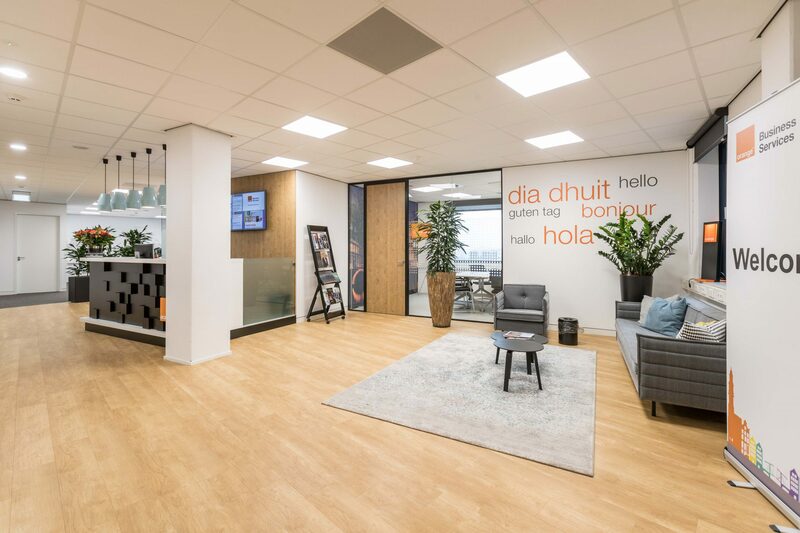 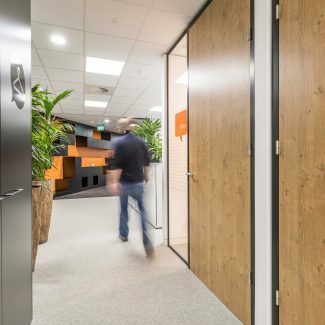 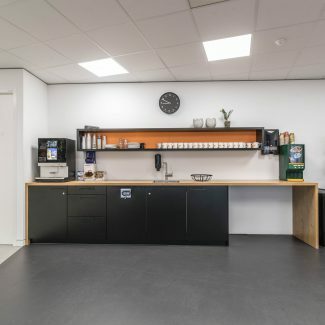 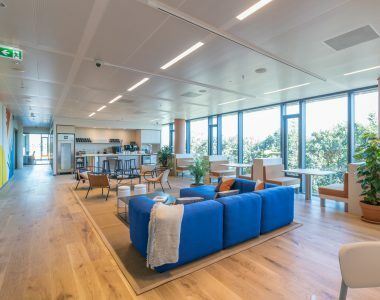 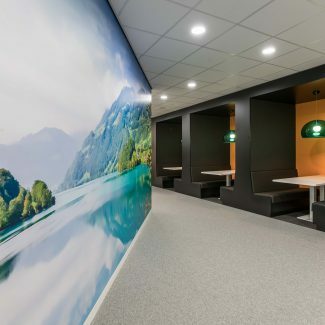 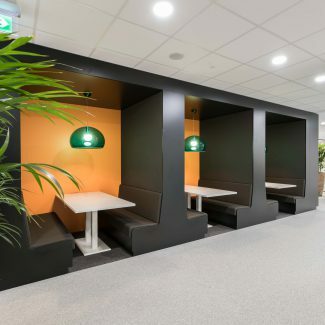 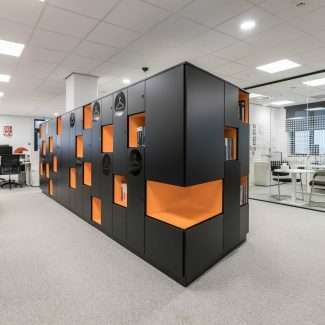 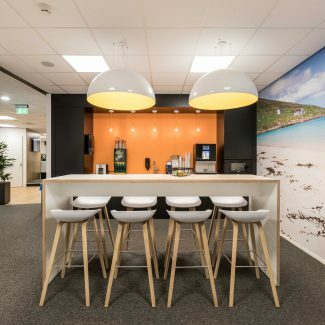 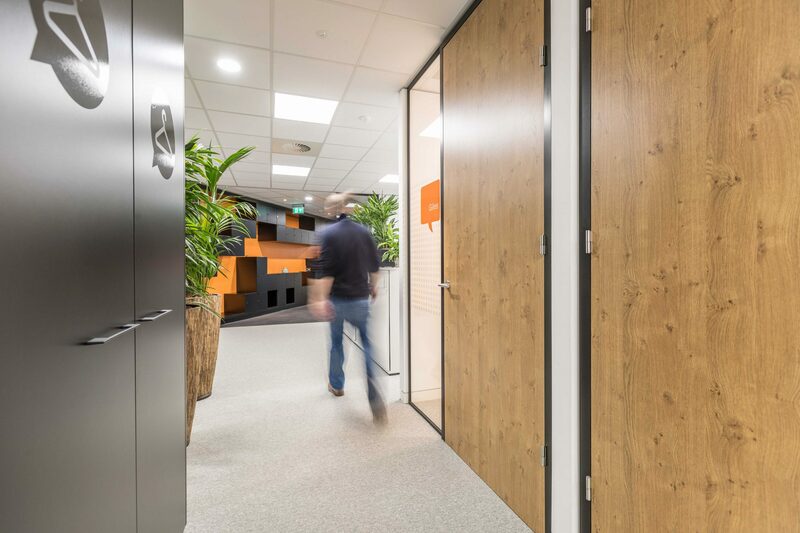 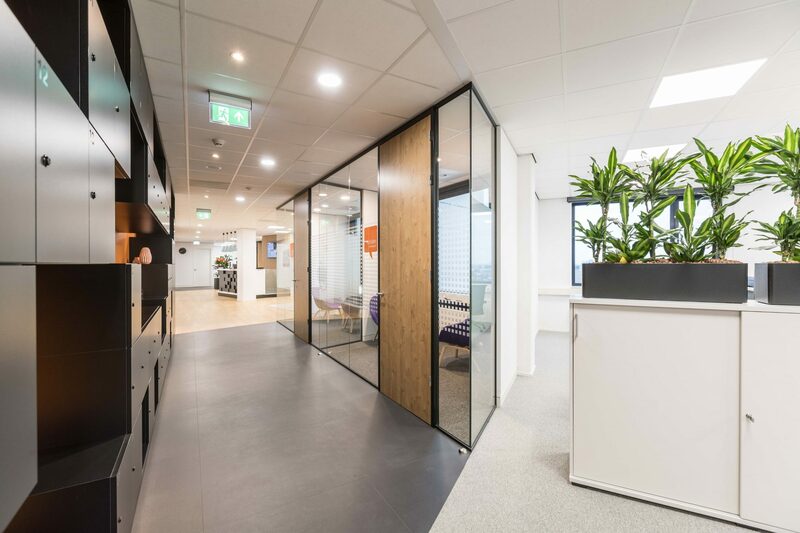 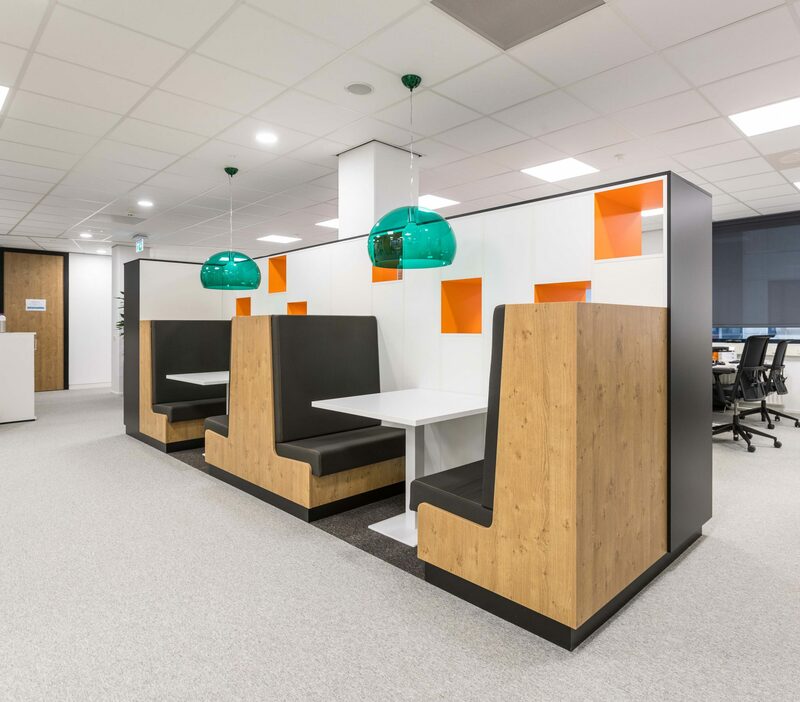 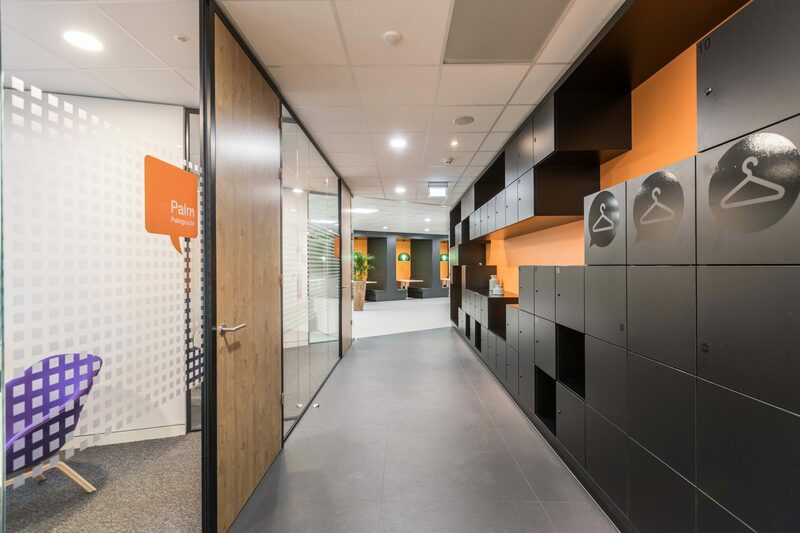 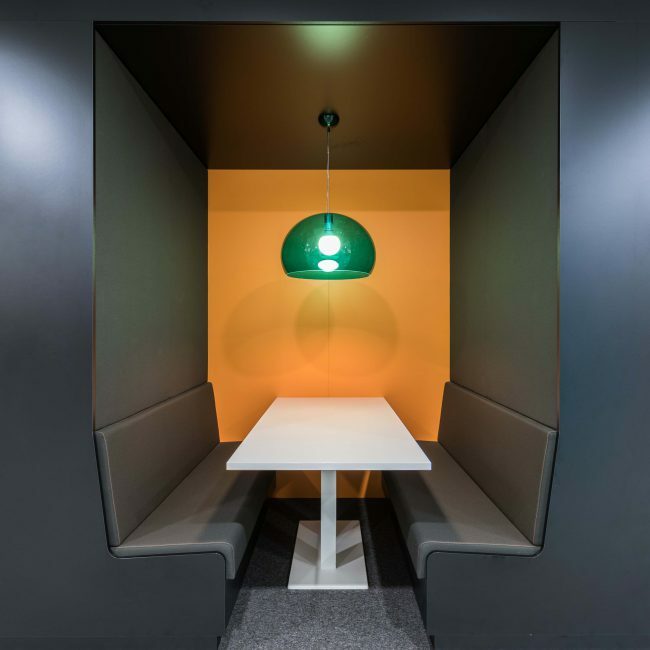 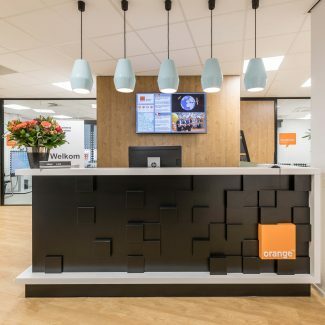 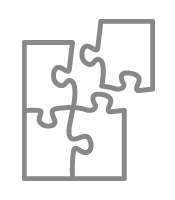 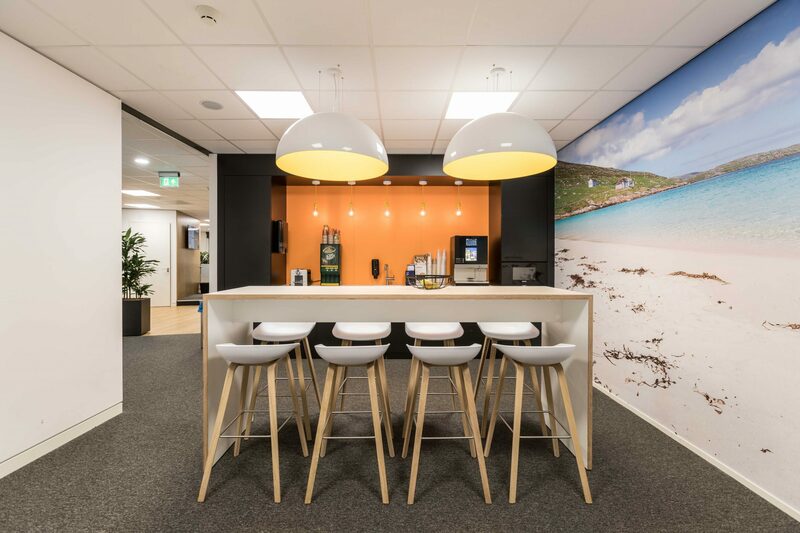 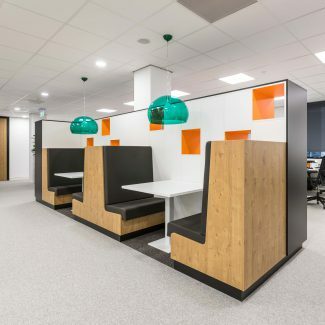 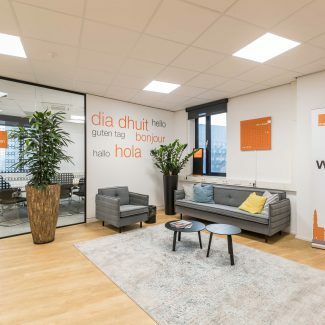 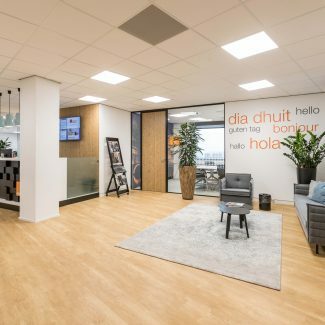 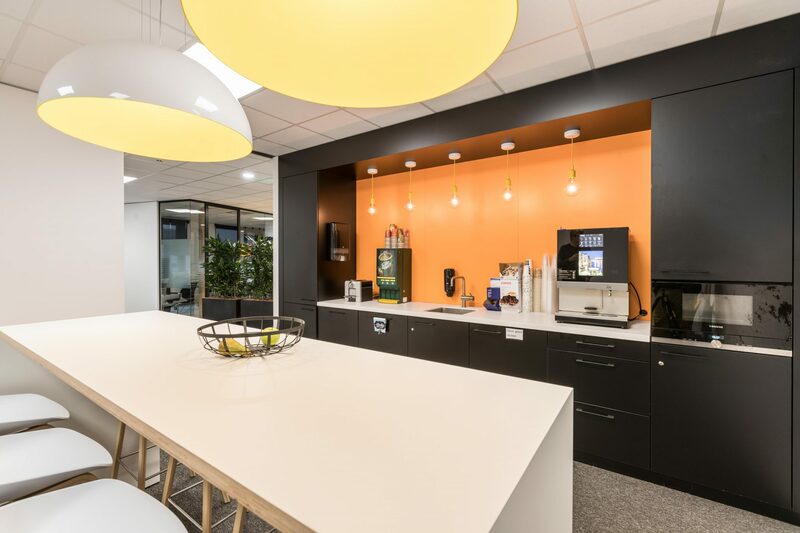 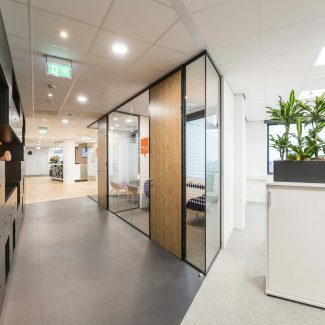 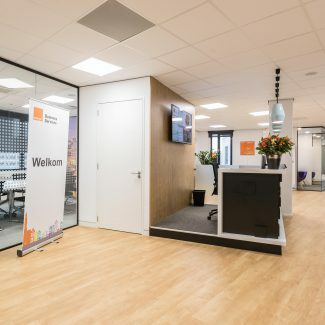 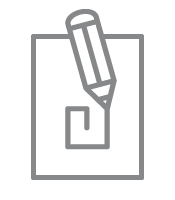 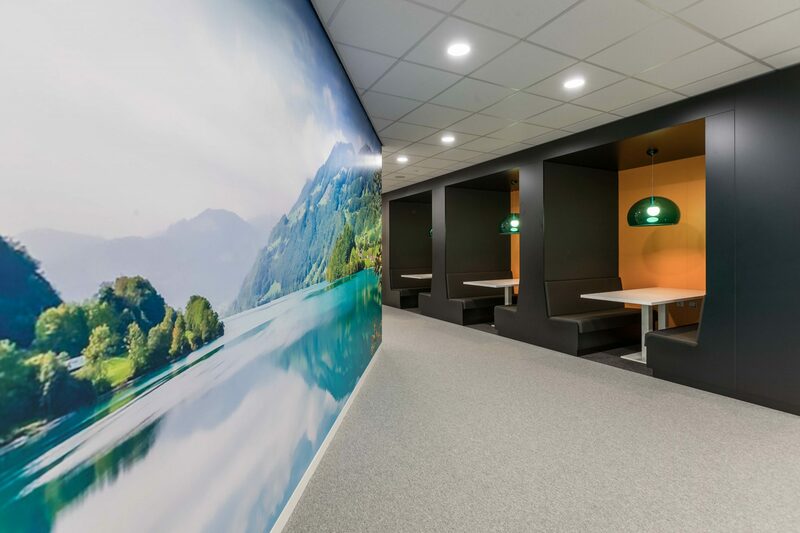 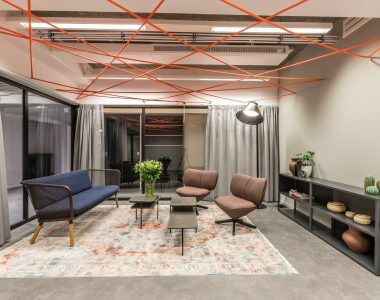 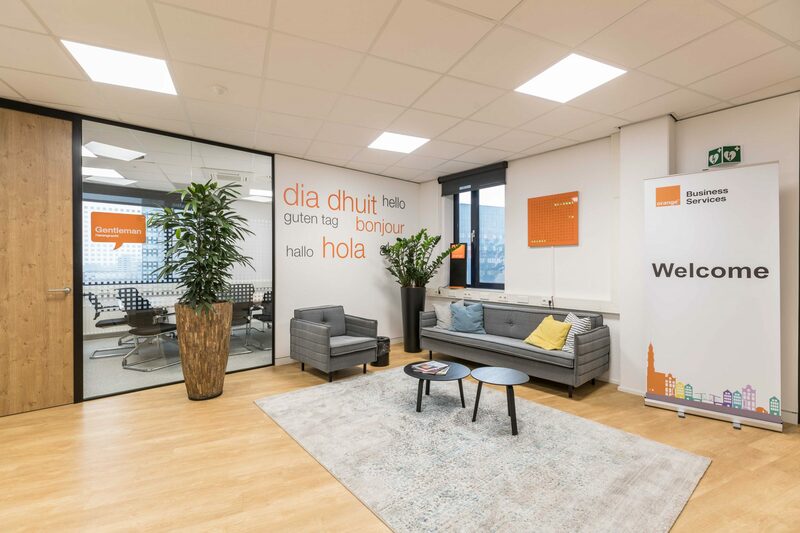 Orange wanted to have an office where different locations could come together in one building and which was fully furnished to their own needs and identity. 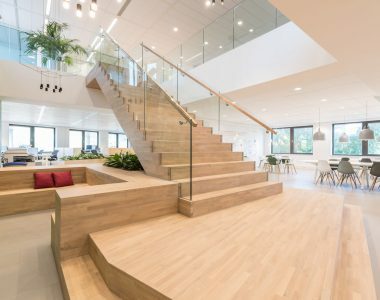 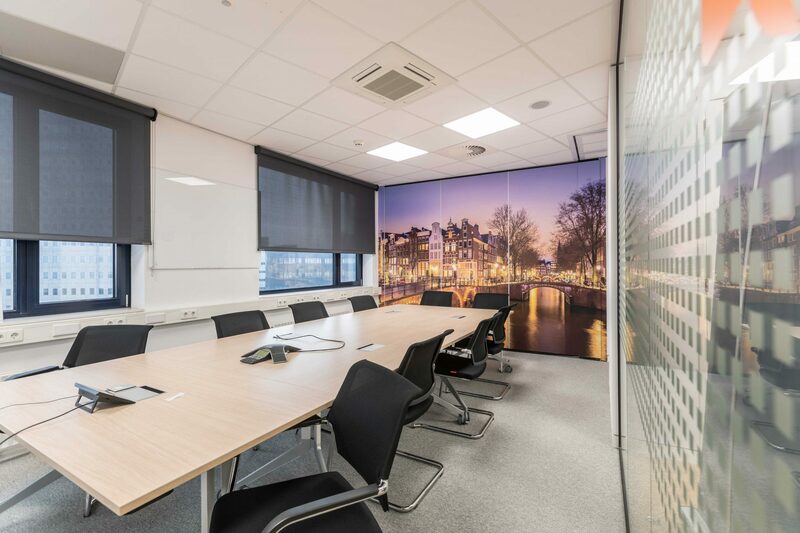 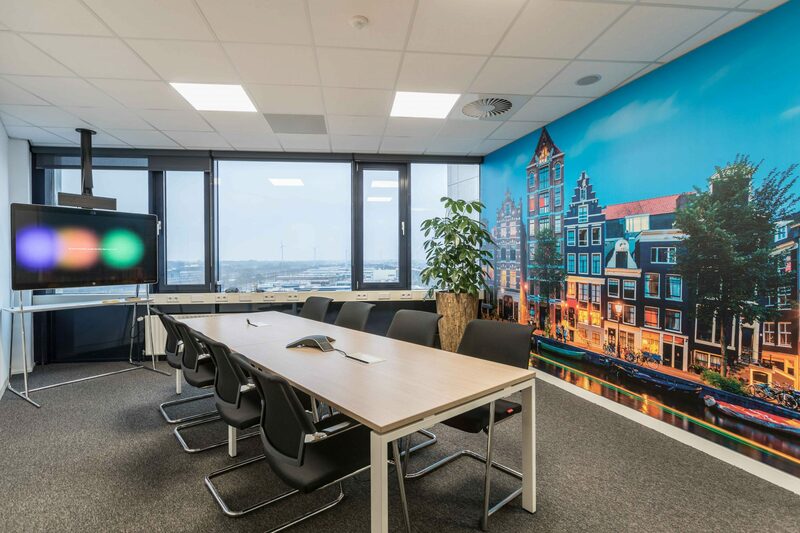 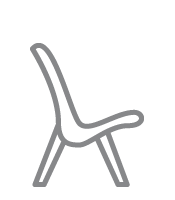 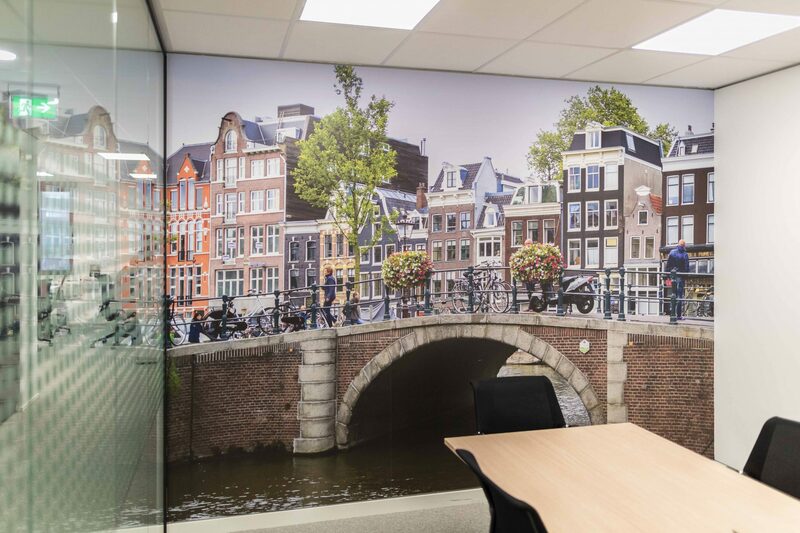 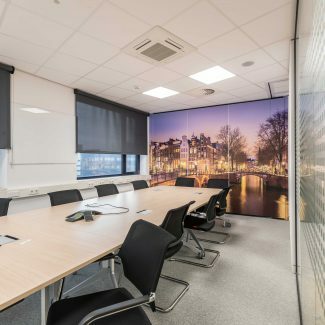 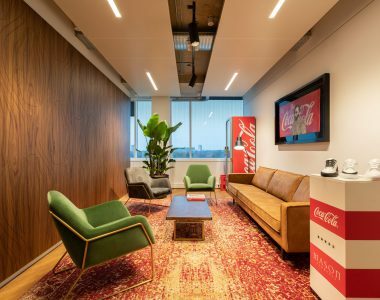 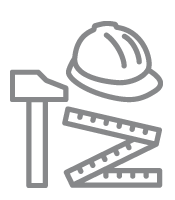 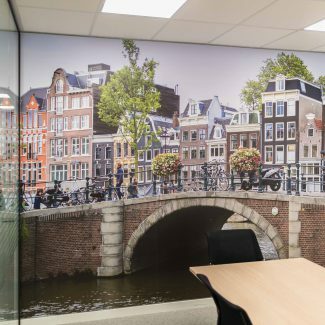 They chose Tétris to design and realize their new office in Amsterdam. 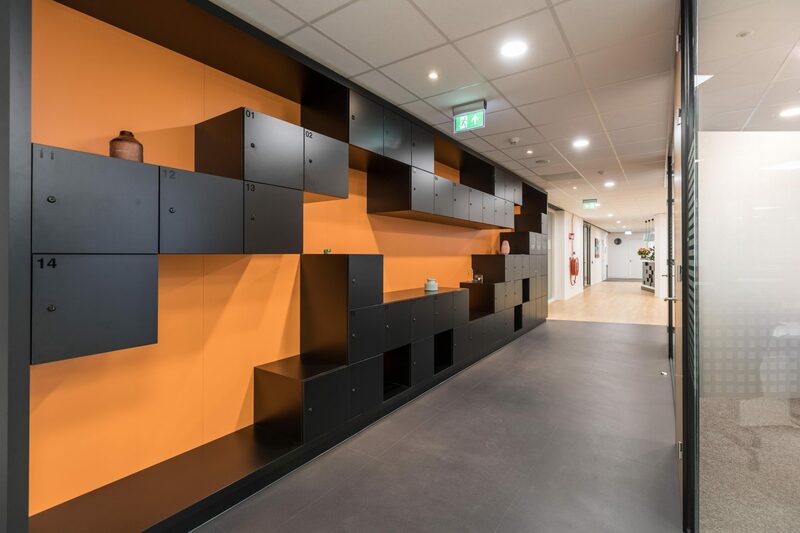 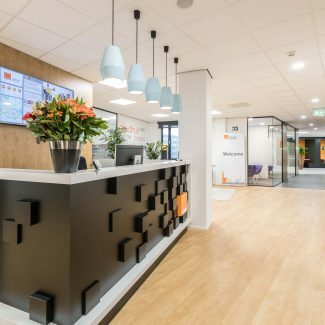 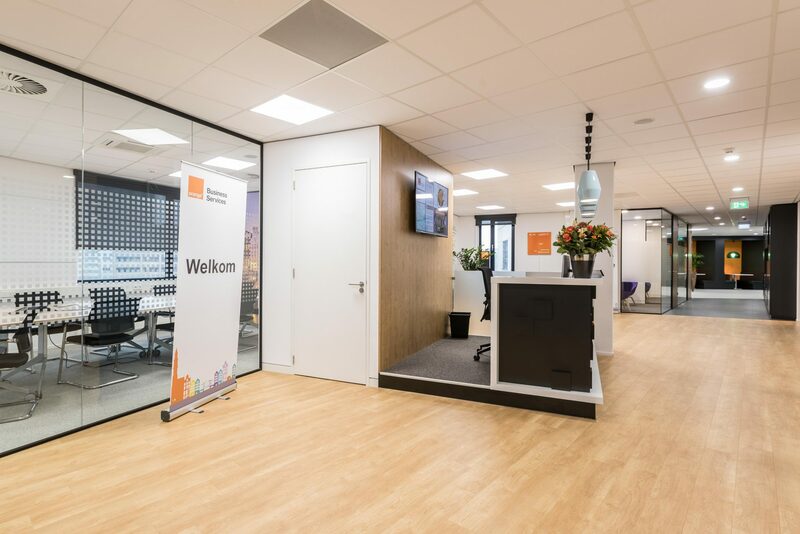 In this office we have designed many different custom furniture, such as cabinets, reception desk and concentration booths, to really give it the Orange look. 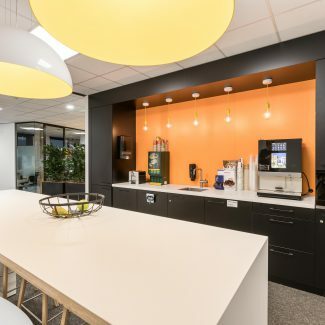 In addition, the office has two pantries, various seats and wall decorations. 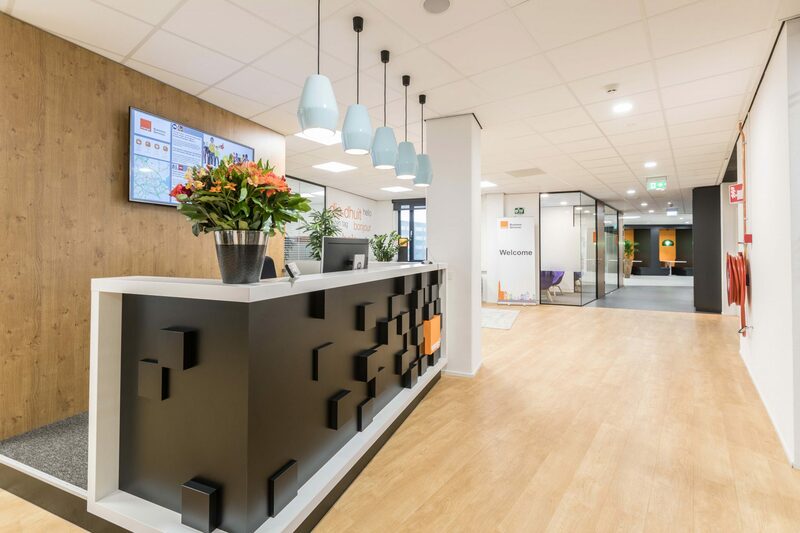 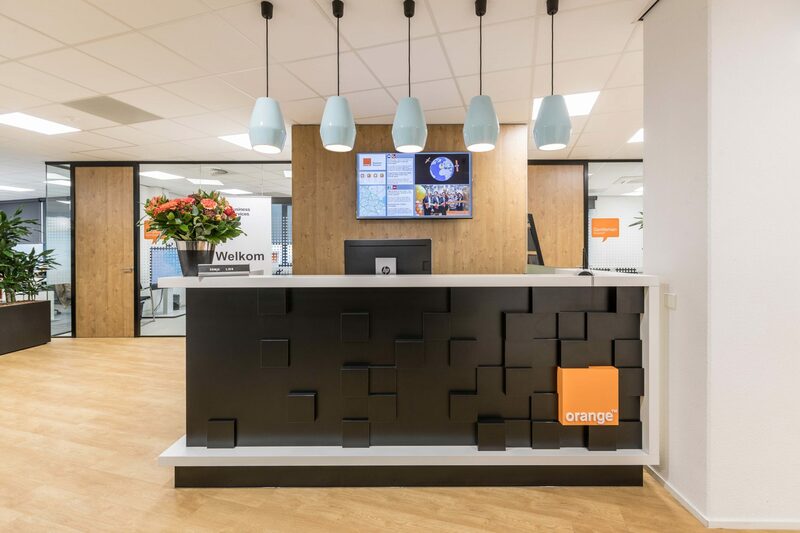 Orange was so happy with the design of their new reception desk that they also used the design for their new office in the United Kingdom.